company profile of NingBo QiHui Machinery & Electronic Co., Ltd.
NingBo QiHui Machinery & Electronic Co., Ltd.has the sales center in beautiful seaport Ningbo city, production base in Taizhou city. 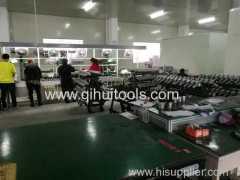 It is professional in design, produce and sell high quality industrial pneumatic tools. The company is managed according to ISO2008, TS16949 managing system. We have exclusive product research and design department, quality control department and skillful technicians. There are six assembly lines in working. 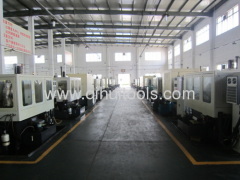 The products are produced by precision facilities. We have inspection equipment imported from Germany. Our heat treatment facility is from Japan. All of the products got CE certificate. Our final test of the products is one by one to check the capacity, packing material to be double checking, 15% random inspection of lifetime is the final, when all of the inspection results are ok, goods will be allowed to send out to customers. Our company is market oriented, quality is the essential. Our products has the characteristics of light weight, high efficiency, durable, benefit and environmental protective, are supplied to the industries such as automobile after-sales maintenance, industry workshop assembly line, shipbuilding and repair, oil field and mining to solve the problem happen in these fields. We are cooperating with the end-user companies like BYD, BMW, GEELY, HONDA , we also have dealer located in different areas as long-term partners. 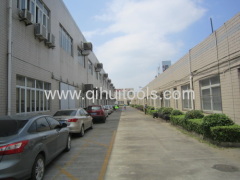 We provide OEM/ODM service, the warranty of the tools is one year. Welcome your suggestions to improve our production and development.